I love Egyptian food and even though I’m a vegetarian there are plenty of delicious dishes to enjoy without meat. There’s foul, a sort of bean paste which has many different varieties and which I ate at least 4 times a week (7 times a week for breakfast and dinner during field work), there’s humus, a chickpea paste that also has many varieties. Lentil soup is also one of my favorites but the most delicious dish is definitely baba ganough, a paste made out of eggplant. All these dishes are usually eaten with fresh baladi bread. 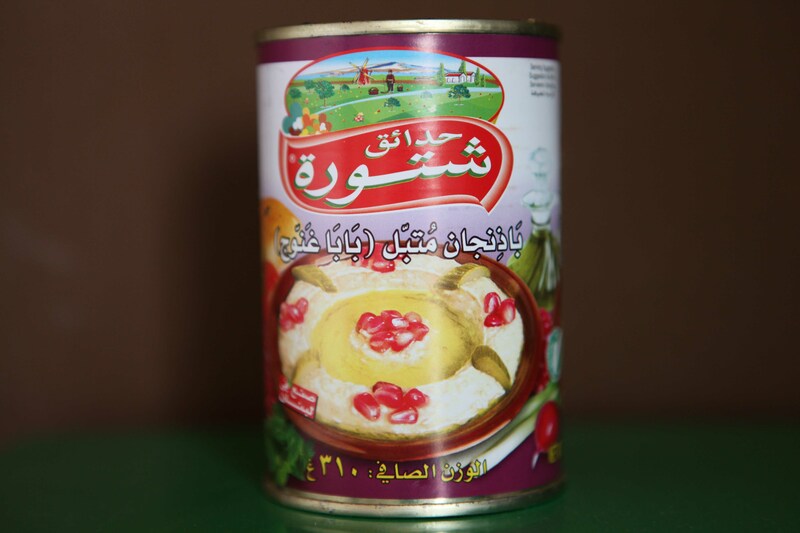 I love baba ganough and I used to eat it with my friends late at night after we visited an exhibition, during Iftar (breaking of the fast during Ramadan) or Suhoor (the pre-dawn breakfast), or just on a night out chatting, having drinks and eating bread with foul. My friends grew accustomed to my baba ganough obsession and would order a dish of baba ganough especially for me. Baba ganough became my second name. I haven’t eaten baba ganough since I came back to the Netherlands in January; until yesterday! Yesterday I went into an Arab/Turkish shop and I found baba ganough. It is so weird the way a small tin of food can bring back so many memories, happy ones in this case, unlike the sight of jelly pudding which I hate because I was forced to eat it in hospital when I was very little and sick. I ate the baba ganough with Lebanese bread and of course it wasn’t the same thing. All circumstances had changed: there was not the smell of shisha, it wasn’t 40C and I wasn’t sticking to a plastic chair, the air wasn’t buzzing with energy, no noise of crazy traffic and people, no smell of exhaust fumes, no people selling me handkerchiefs, but above all my friends weren’t there. Nevertheless this tiny tin of baba ganough did bring back some good memories of people and a country I feel very affectionate about. The UN Food and Agriculture Organization Food Price Index in January 2011 exceeded the peak of the 2007-2008 food price crisis. When it comes to food, the boundaries between stability and disorder are easily crossed. In how far increases in food prices stand at the bases of the unrest now seen in the Middle East is unclear but it is clear that food prices can be an important factor in causing civil unrest and a catalyst for anti-government protests. Egypt has been at the epicenter of recent unrest in the Middle East. With more than 40% of the population living on less than 2$ a day, volatility of food prices can easily contribute to instability and unrest on the streets. 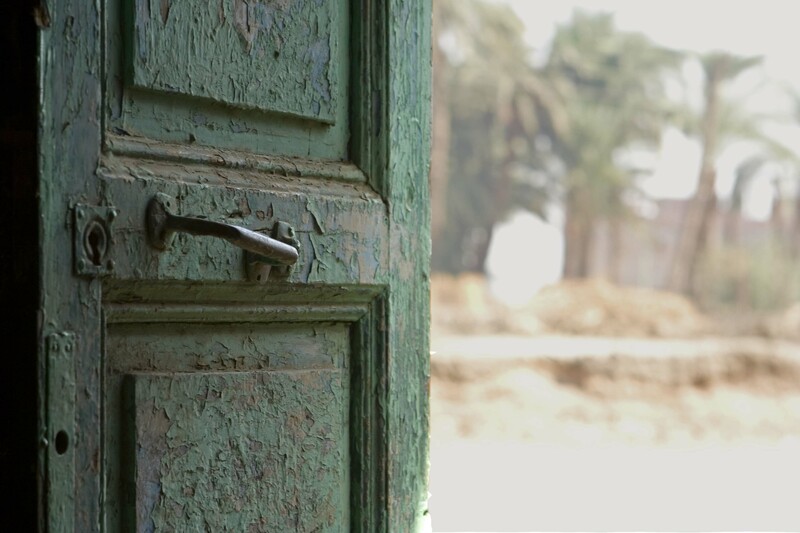 While Egypt’s economy has grown over the past ten years, progress in human development has been uneven. It has proven difficult to improve the situation of the poorest and most vulnerable. 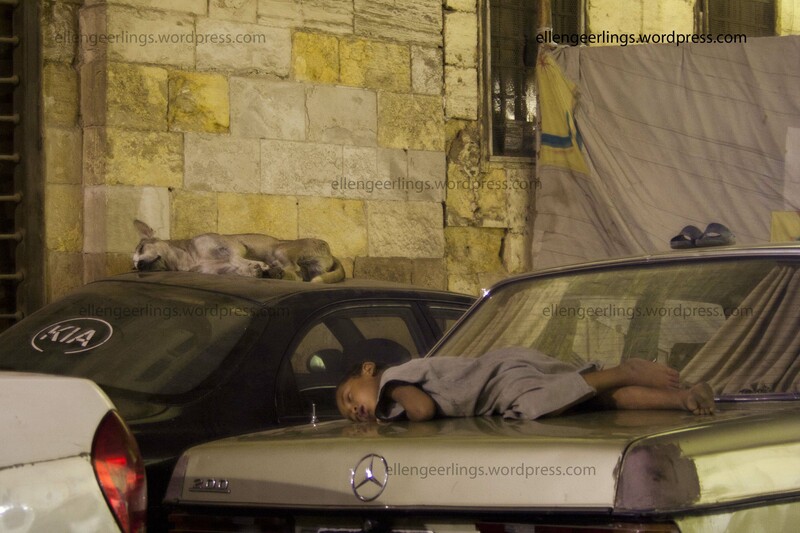 Forty per cent of Egyptians live on less than $2 a day. The proportion of extreme poor (inability to meet the basic food needs) has even increased in recent years. Soaring food prices are the main driver behind the increase in the proportion of people living in extreme poverty; this share increased from 5.4% to 6.4%; this means 5-6 million people are unable to meet basic food needs, let alone basic housing. This is Amira, a divorced lady of 70 with bad eyesight and hearing. She shares her tiny house with a 12-year old orphaned girl whom she takes care off. Amira sleeps on a hard bed and her toilet consists of a hole in the floor of her tiny house. All she owns is 4 chickens and the rest of her possessions are contained in a few plastic bags. She used to have 15 chickens but she lost 11 due to disease; possibly bird flu. 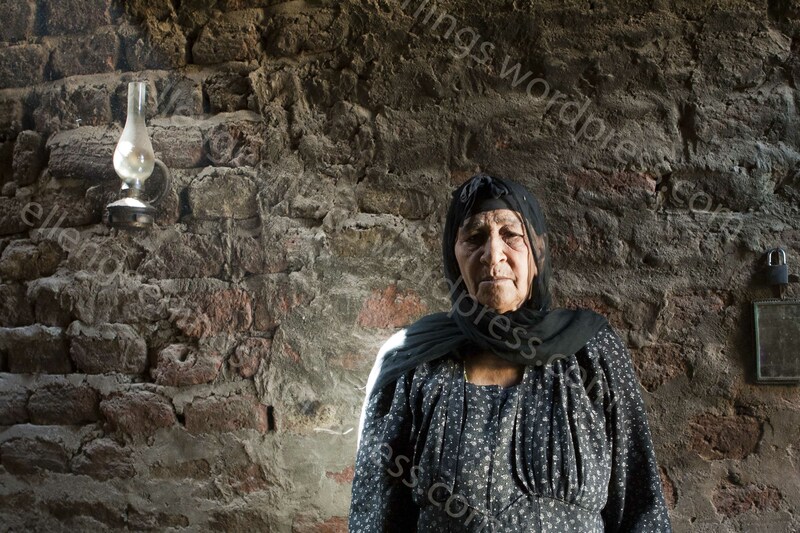 She lives of a small pension of 55 Egyptian Pounds (EGP), this is equivalent to 5.8 United Kingdom Pounds (GBP) per month and occasionally receives charity in the form of food or money from well-off villagers. 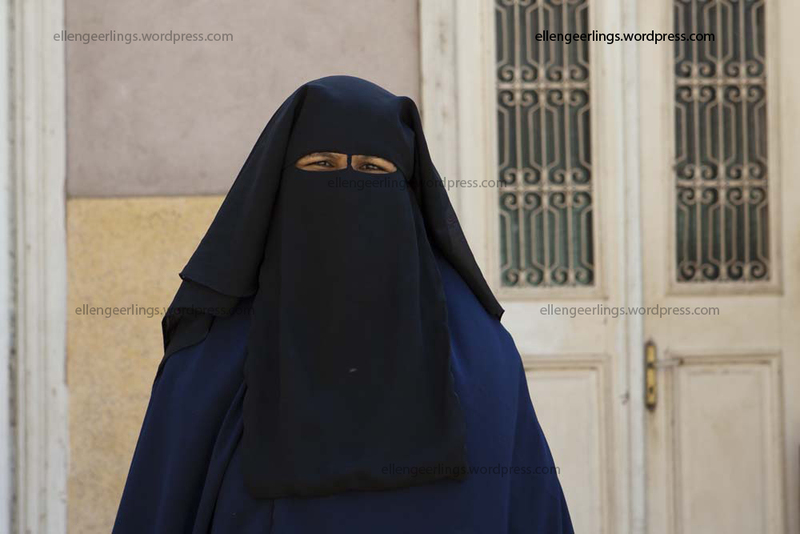 She sometimes earns a few Egyptian pounds by selling a few eggs. The vast majority of her money is spent on food and she will regularly have only tea and dry bread for her meals. 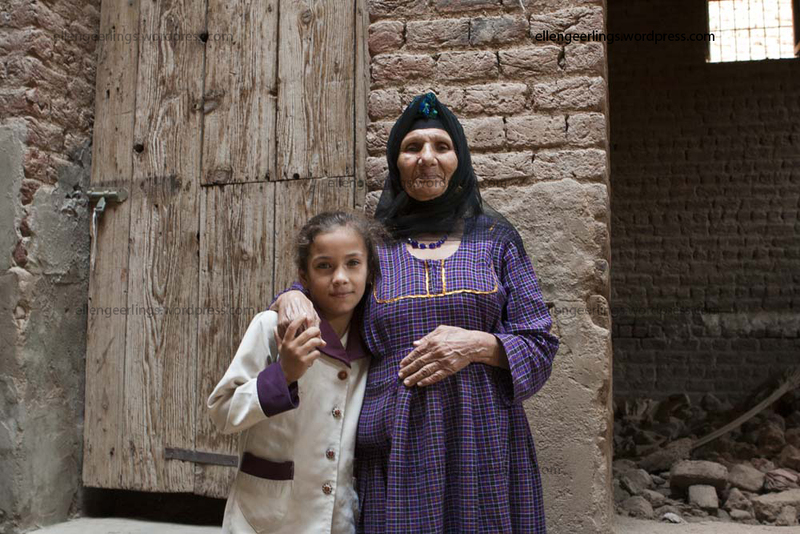 Women support one fifth of Egyptian households, these households are especially vulnerable because of lack of income-generating opportunities as women have lower levels of education, public participation and poorer access to health and vocational training than men. The few chances open to women of earning money are often limited to seasonal labour, petty trade and poultry keeping. 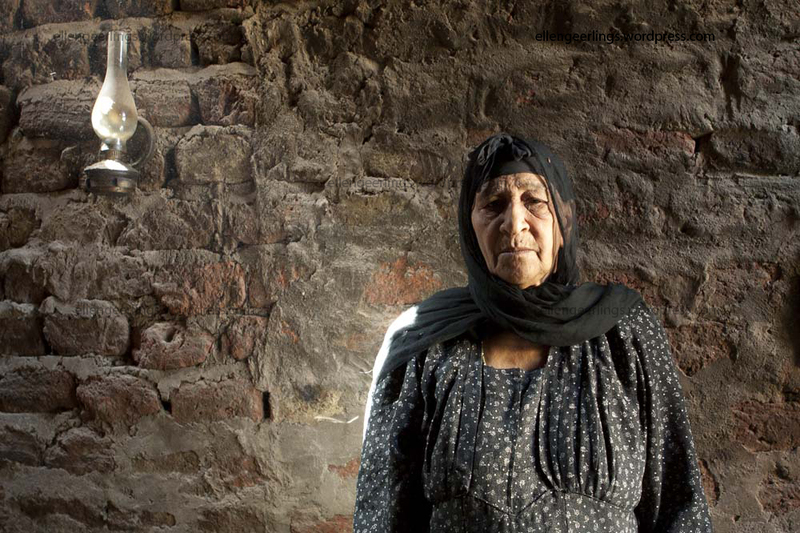 This is Rehan, she is 29 year old, she lives in her mother’s house with her 9 year old daughter; both women are widowed. Like her mother, Rehan did not go to school but she decided to take adult literacy classes a few years ago and can now read and write. Her daughter is in primary school. This is Rehan’s daughter and her mother. The household depends on a monthly pension of 250EGP (26.3GBP) in addition to a monthly gift of well-off villagers of 20EGP (2.1GBP) to 40EGP (4.2GBP). The household owns 5 chickens, which regularly provide eggs for household consumption. They spend about 150EGP (15.8GBP) on food every month; this is about 54% of their total budget. Most of the rest is spend on water and electricity costs and school expenses such as materials, school uniform, and private lessons for her daughter, which cost 8EGP per week. Private tutoring –both within rich and poor households- is very common in Egypt and is needed to compensate for the low quality of public education and to supplement the low pay of teachers in the public sector. 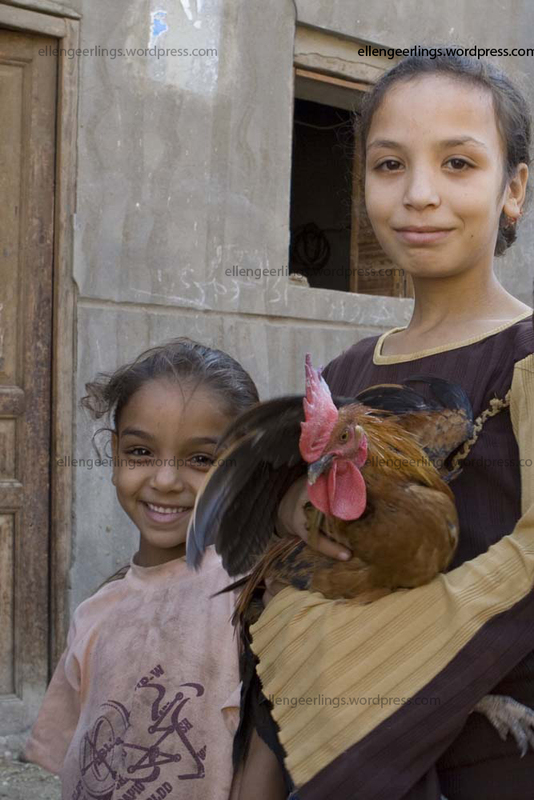 Poultry keeping is a major component of the livelihoods of the poor in Egypt providing income and a cheap source of high quality protein. Poultry keeping is one of a few income generating activities available to women and the simultaneous impact of bird flu which is now endemic in Egypt and soaring food prices have affected women’s economic empowerment and well being. Income from poultry is often spent on children’s needs such as education, while eggs form an important source of protein for children. In order to cope with the simultaneous impact of bird flu and soaring food prices many households changed their diets in favour of plant based protein such as lentils or beans instead of animal protein in the form of meat and fish which are much more expensive. Molokeya (Jew’s Mellow) is a typical Egyptian dish. Here women are separating the leaves from the stems. The leaves will be used to prepare a sort of soup. Molokeya is usually eaten with rabbit, which is considered an expensive delicacy. Less well off households will replace the rabbit with chicken or offal meat. However any changes to this subsidy system in a country where 40% of the population live on less than $2 a day can create volatile situations. This fragile state became visible in April 2008 when bread shortages, as a result of the surge in food prices, sparked civil unrest. Some people lost their lives and many were wounded. The UN Food and Agriculture Organization Food Price Index in January reached a new historic peak, rising for the seventh successive month and exceeding the peak of the 2007-2008 food price crisis. When it comes to food, the boundaries between stability and disorder are easily crossed. In how far increases in food prices stand at the bases of the unrest now seen in the Middle East is unclear but it is clear that food prices can be an important factor in causing civil unrest and a catalyst for anti-government protests. For privacy reasons fictive names have been used in this blog. The information in this blog is based on interviews carried out by my colleagues and me in Suhag, Assuit, Menia and Fayoum governorates in the months of October and November 2010. This research was part of my PhD research exploring how HPAI and the food crisis have affected the food security and livelihood situations of rural households in Egypt. I’d like to thank Eman Abdel Raouf, Arwa El Naggar, Gebril Mahjoub Osman and AbdelHakim Ali for translations and good company. 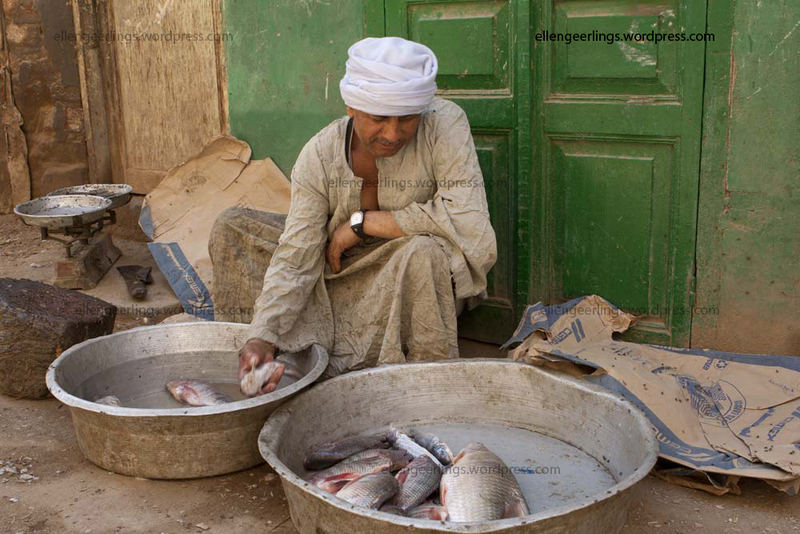 The International Livestock Research Institute (ILRI) has reproduced, edited and published my post under the title: Food and Egypt: Did high food prices help stir the public revolt? I and 3 colleagues have been ‘on the road’ for about 10 days now and after a couple of near dead experiences I’ve learned a great deal about Egypt traffic rules (or the lack thereof). Overtaking can be done passing left or right and overtaking a car that is already overtaking another car is perfectly fine as long as you use your horn during the procedure. Driving while shouting to another driver in the car next to you using the other lane at a speed of about 100km/hour is ok too. Obviously none of this moves my Egyptian fellow passengers one bit so I’ve decided to do as the Egyptians and leave it all up to God. So I relax sit back and enjoy the ride. ‘Insha’Allah’ all will be ok.
We have been visiting 9 villages and will be visiting 15 more in Upper Egypt. We’re revisiting people that have participated in an FAO study in 2007 assessing the impact of bird flu on people’s livelihoods. We want to see what changes have occurred since 2007 in terms of the number of birds they keep, the importance of poultry for income and other services and changes in attitude and behaviour in relation to bird flu. It’s quite a challenge trying to locate all the respondents, some names have been lost in translation, some have moved away and one entire village could not be visited because of an armed conflict. In all honesty this research has been quite frustrating for us for many different reasons. It takes great effort and a whole lot of patience to conduct the interviews. Not all people –understandably- want to tell us about their income, diets and behaviours. Others for whatever reason give very confusing and contradictory answers which makes the interviews unreliable, while others prefer to talk A LOT about other things. This however is part of most research. It gets more difficult and above all embarrassing when people tell you that they don’t need another study, they need food. If you could see some of these people it is blatantly obvious they have not been ‘able to provide a ‘normal’ meal for themselves and their family members in the past year’ as one of the questions in our questionnaire states … One widowed old lady with bad eyesight and hearing lives in a tiny clay house, sleeps on a hard bed and her toilet consists of a hole in the floor of her tiny house. All she owns is 4 chickens and the rest of her possessions are contained in a few plastic bags. She spends all her money on food and regularly will have only tea and dry bread for her meals. Try telling these people that this research could possibly contribute to changes in policy that might be of benefit to them in years to come. In those moments I feel pretty hopeless and I feel like giving up on ‘development’ work and doing something entirely different. No matter how much I love working with farmers, learning from them and spending time with colleagues in the field it is difficult sometimes to see how it might be of benefit. I only wish to be of more help to others but don’t seem to have found the right place and the right way to do it YET… But I hope and wish I will eventually! 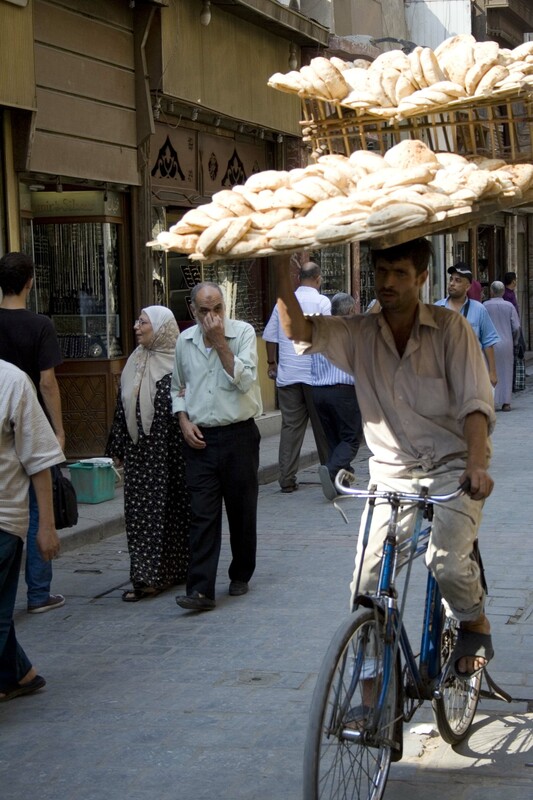 The word bread in Egypt also means life; both are named Aish. 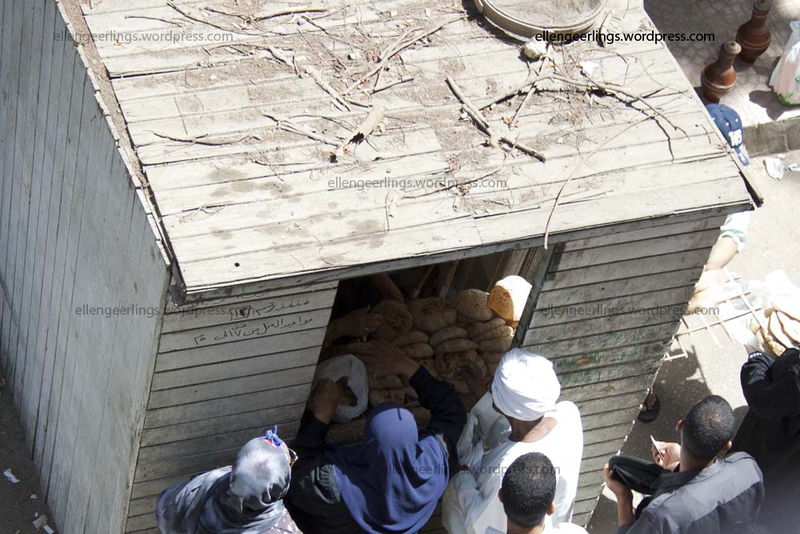 Bread is the staple food of Egyptians. Aish Baladi is most popular. Baladi can be translated as ‘of the people’ or ‘local’. This bread is commonly eaten with every meal. Firstly, I’m here in Egypt to do research on the food security situation of rural households. Secondly, my apartment happens to be located right in front of one of the subsidised bread distribution places. Every day people line up here 3 to 4 times a day to buy this subsidised bread. Thirdly, because the men transporting the bread through Cairo traffic from the bakery to these distribution places must be the most courage’s people I have ever seen. 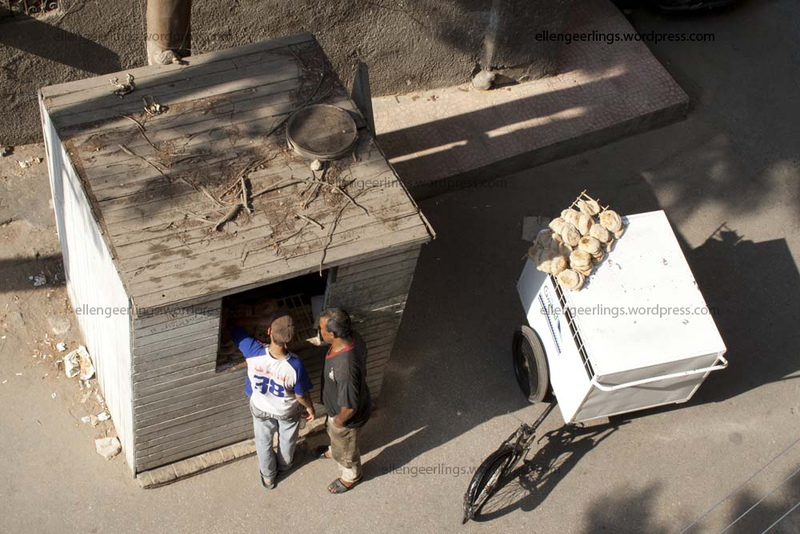 They balance a large wooden pallet carrying hundreds of loafs of bread on one hand while cycling through Cairo’s crazy traffic and they put the Dutch (thus me) to shame with their cycling skills and fearlessness. I’ve seen many Dutch people all over the world cycling through traffic in mega cities but I’m still to see my first Dutch cyclist in Cairo.